Jamie Vardy is an English professional footballer who plays as a striker for Premier League club Leicester City and the England National Team. His shirt number is 9. His nick name is The Superstar. Jamie Vardy real name is Jamie Richard Vardy and he was born in 11 January 1987 in Sheffield, England. He belongs into a lower class family. His father name is Richard Gill and his mother name is Lisa Vardy. His father was a crane driver and mother worked as legal secretary. His Birth sign is Capricorn. At the age of sixteen Vardy started his career with Stockbridge Park Steels youth system. He made his debut in the team and gave impressive performance due to which a number of football team gave interest on him. In 2009 he spent a week on trial with Crewe Alexandra. Later he turned down with Rotherham United on short term contract. F.C. Halifax Town signed him in June 2010. He made his first debut for the team in 21 August 2010 and scored a winning goal for the club against Buxton. He was the top scorer of the team with 25 goals in 37 appearances. He was also voted for the player of the month. He started the 2011-2012 seasons also with F.C. Halifax and in the opening four match he scored three goals. Vardy signed for Conference Premier Club Fleetwood Town after over of F.C. Halifax. At the day of joining only he made his debut and scored his first goal for the club in third appearance in which he scored twice. He scored two goals against Gates head at Highway stadium. He was given a straight red card on 20 September. He was then included in the FA cup as well and on 12 November, he scored the second goal. In each of his six appearances he altogether scored 10 goals and from which he also won the Conference Premier Player of the Month. He was the top scorer in the Conference Premier due to his 31 League goals. In 2012-2013 seasons Vardy signed Championship club Leicester City on 17 May 2012. On the next day only ha again signed a three-year contract until June 2015. He made his debut for the club in 14 August against Torquay United in which he made a final goal and won by 4-0. After four days he made his football league debut in which their team won by 2-0 against Peterborough United at King Power Stadium. In 2013-2014 seasons he established himself as the prolific scorer. He scored and won a penalty and won by 4-1 on 10 January 2014 against Derby County and again reframed their position in Championship. He scored 16 league goals and was awarded as Leicester’s Players Player of the season at the club. In 2014-2015 seasons Vardy extended his contract until summer 2018. He made his debut of Premier League on 31 august 2014. He also became the man of the match by scoring his first premier league goal. He played 90 minutes only and his team won on 11 April 2015. He made impressive goals and was nominated for Premier League Player of the Month award. In 2015-2016 seasons Vardy started the season by scoring a goal at home against Sunderland on 8 august 2015. He made seven league goals for the club. Vardy became the first player in the Premiership to score nine goals in a single season. For October 2015 he was Premier League Player of the Month, the first Leicester player to be given the accolade. Following the goal scoring exploits, he was again named as the Premier League Player of the Month for November. He was also presented with a certificate from Guinness World record for his achievements. He again signed a new contract to keep him in the club. He also to score 20 goals in the top division of English football that resulted to secure the qualification to the UEFA Championships League for the first time in Leicester’s history. He was the second highest scorer in the Premier League with 24 League goals for 2015-2016 seasons. He was one of the four Leicester players in PFA Team of the Year and was also named the FWA Footballer of the Year and 2016 Barclays Premier League Player of the Season. In 2016-2017 seasons Leicester offered him improved terms and after 20 days he agreed to sign a new four-year deal and on return he was kept in UEFA Euro 2016. On 22 February he scored his first UEFA Champions League goal. 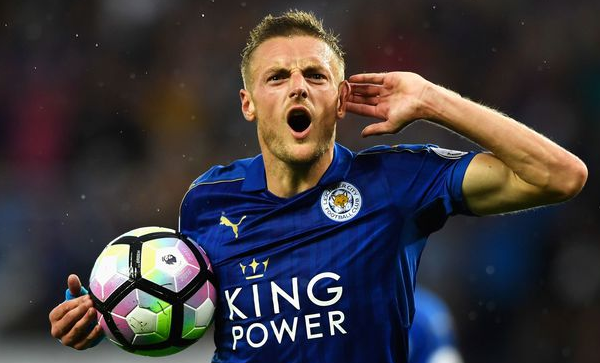 Born on January 11 1987 in sheffield, Jamie Richard Vardy, whom we know as Jamie Vardy is an English professional football players who plays as a striker for both English Premier League club Leicester City and the England national team. 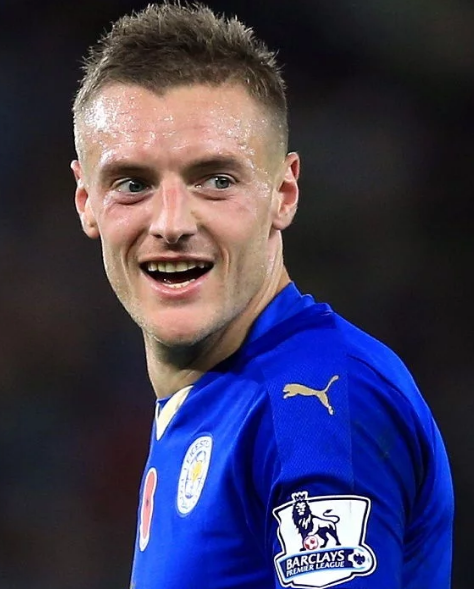 Today Jamie Vardy has a net worth of $12 million. Jamie Vardy is already at the scene scoring only a goal in injury time against Manchester United following 2-1 defeat in the first fixture of season 2018-19. In 2017-2018 season as well he played very well and scored many goals which supported them to win. which ended in a goalless draw. Vardy was included in the starting Line-up against San Marino and Switzerland in UEFA Euro 2016 qualifiers. Vardy scored his first international goal for england against World Cup 2014 winner Germany on 26th March 2016 and scored his second goal against Netherland with a 2-1 defeat. Vardy was also included in the England National Team squad playing in FIFA World CUp 2018 edition. He was named in the 23-man England national Team squad for 2018 FIFA World Cup.